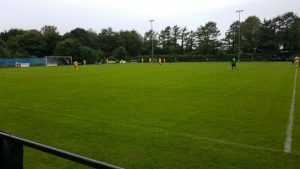 St Blazey traveled up to Devon to take on Plymouth Parkway reserves. St Blazey started well and knocked the ball around well, creating several chances. 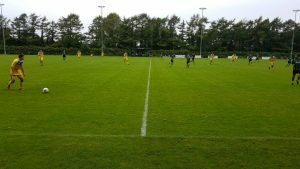 Johnson in midfield drove St Blazey forward while at the other end, Brett Allen in goal made light work off the long balls into the box. St Blazey took the lead after 15 minutes when a good move down the right led to a great cross which Lewis Vooght finished off well. St Blazey looked in control and could have scored more but for some good saves from Parkways goalkeeper. Five minutes before half time, St Blazey were caught out from a goal kick which bounced and left the Parkway striker through on goal who lobbed the advancing Allen in goal. St Blazey responded within a minute though, the ball worked to the player manager, Morgan, who took one touch before curling a great shot into the top corner giving the Parkway keeper no chance. Half time, Plymouth Parkway Res 1v3 St Blazey. The second half started as the 1st finished with St Blazey on top. 6 minutes into the second half Morgan drove home into the top corner with another great strike to make it 1v3. Morgan could have completed his hat trick moments later but for another good save, and then another effort dragged wide. St Blazey used all their subs with 20 minutes to go including Toby Wilson going in goal. 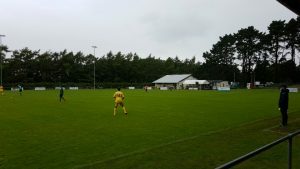 In the final ten minutes, St Blazey had to bring Allen the goal keeper back on to play up front as one player couldnt continue because of cramp. Parkway had chances to score late on but were wasteful in front of goal. Final score, Plymouth Parkway Res 1v3 St Blazey. St Blazey attacking the far end.